Ahead of International Women’s day tomorrow, Action Aid has released figures showing that five women are killed every hour by a partner or family member globally. ActionAid estimates that over half a million women will die as a result of domestic violence by 2030, but despite this almost a quarter of countries in the world still have no specific laws in place to protect women from domestic violence. 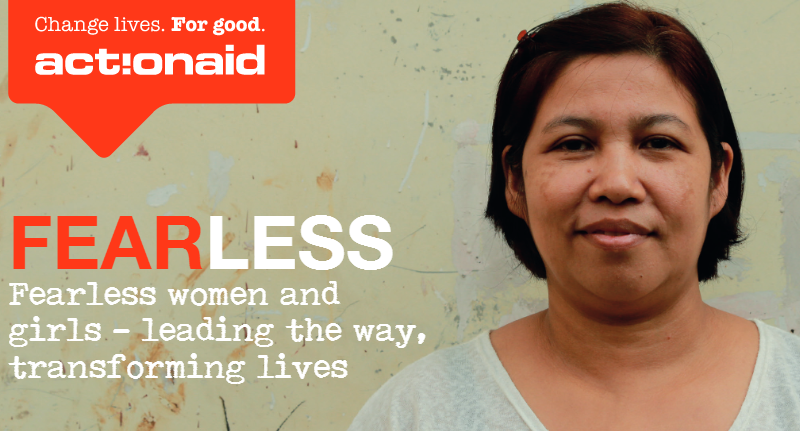 These findings are being published as part of Action Aid’s new briefing ‘Fearless Women and Girls – leading the way, transforming lives‘ which sets out the critical role women’s rights groups play in tackling violence. Action Aid is calling on the UK government to commit to boosting the proportion of aid that goes directly to women’s groups working on the frontline, recommending that at least £70 million is taken from the existing aid budget over the next three years. Action Aid also calls on governments to address the underlying causes of women’s economic inequality, and hold corporate actors accountable for their part in ending violence against women and girls. As Action Aid points out, nowhere in the world are women economically equal to men. Globally, this exacerbates other forms of inequality. Poverty, discrimination in the labour market, and the lack of protective mechanisms all make women easy targets for violent abuse in the workplace. Meanwhile their economic rights are undermined, leaving them at greater risk of violence at home or in the streets. The state therefore bears the primary responsibility for guaranteeing women and girls the right to live a life without violence.